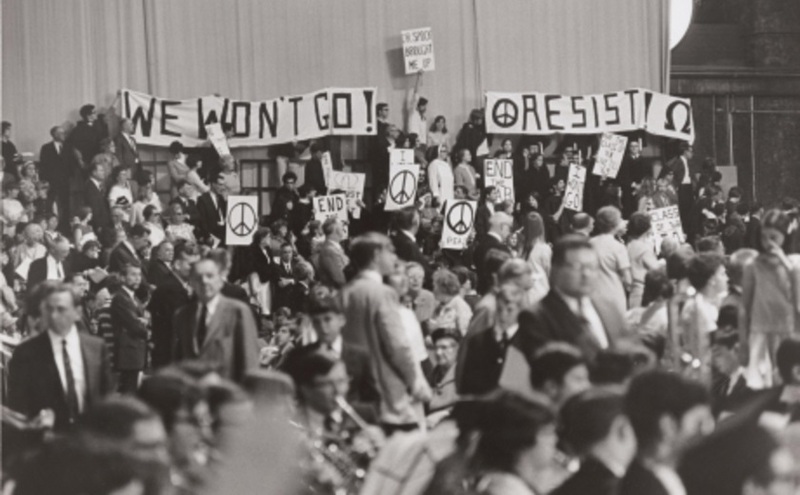 Nearly 2,000 people attended a 1965 teach-in sponsored by Cornell University’s Faculty Committee on Vietnam. Photo courtesy of Cornell University. On December 14, 1966, at the age of eighteen, I stood before a crowd of three hundred people at Cornell University, read a statement denouncing the war in Vietnam and the draft, and tore my draft card into four pieces. I then walked over to a nearby mailbox and sent my statement and the four pieces of my card to my draft board in the Bronx, New York, informing the Selective Service System I would not fight in Vietnam and would no longer cooperate with the draft in any shape or form. Dancis eventually became president and co-chair of the Cornell chapter of Students for a Democratic Society, which by 1969 grew into one of the largest in the nation. The young “anarchist” Matty Goodman, however, did not live to see the antiwar movement at its height; he died while mountain-climbing in August 1967. In the following selection, written a few weeks later, Matty’s father remembers his son’s role in the nascent antiwar movement. 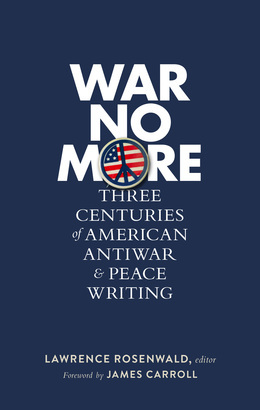 Lawrence Rosenwald adds additional comments about Paul Goodman in the headnote that precedes the piece, which is included in the new LOA collection War No More: Three Centuries of American Antiwar and Peace Writing. Notes: The speakers mentioned on page 436 are New York Governor Nelson Rockefeller and former governor W. Averell Harriman, who in the spring of 1965 became a Johnson administration ambassador-at-large, with responsibility for Southeast Asia. The reference on page 438 to October 16, 1967, is to the coordinated effort of nearly 1,500 men in eighteen cities who participated in draft card returns. The Peace Bridge is the highway span connecting Canada and the United States at the east end of Lake Erie. On page 439, Goodman and his son talk about the parable of the Pearl of Great Price [Matthew 13:45-46]: “Again, the kingdom of heaven is like unto a merchant man, seeking goodly pearls. Who, when he had found one pearl of great price, went and sold all that he had, and bought it.” Ithaca district attorney Richard Thaler, who was confronted by Matty on campus, served an injunction against the distribution of the Cornell literary magazine Trojan Horse and arrested on obscenity charges several students attempting to sell it on campus. A state court later ruled the magazine was not obscene. C.O. (page 440) stands for conscientious objector; the draft classification II-S (2-S) allowed college students to defer military service until graduation or until the age of 24, whichever came first. My son, Mathew Ready Goodman, was killed mountain-climbing on August 8, 1967, age 20. Burton Weiss, a close friend of his at Cornell, has sent me an account of Matty’s political activities there. . . . If you don't see the full selection below, click here (PDF) or click here (Google Docs) to read it—free! Teachers: Please note that this selection contains a single use of an expletive. Used by permission. To photocopy and distribute this selection for classroom use, please contact the Copyright Clearance Center.